While teaching at Salisbury University this semester, several of the students in my Leadership Studies course have worked feverishly to make the case that podcasts are boring and should be disregarded as a legitimate medium for conveying information across the world wide web. Normally, I would listen intently and take notes as this demographic of honors-level and almost-twenty-something students speak about trends in popular culture. However, I just plain disagree… and the statistics are not in favor of the podcasting skeptics on this one. This percentage point equates to 112 million Americans age 12 and older who have listened to a podcast at least once in their lifetime, which is up 11 percent from 2016. This percentage point means that 67 million Americans age 12 and older have tuned into a podcast within 30 days of the polling date in January-February of 2017. This number has increased 14 percent in the last year. Familiarity does not equate to general podcast listening and overall enjoyment, but familiarity does create a foundational avenue for trends in listening standards. When six in ten Americans do anything, you better believe that marketers and politicians are paying attention. And 60% of Americans age 12 and older are now familiar with what podcasts have to offer. With this consumer research in mind, I have decided to build a quick starting point playlist of “must listen” episodes for those who think podcasts are boring. I’m looking at you SU Honors Leadership Studies students. This list is curated for you (and any others who may stumble upon them). Enjoy these podcast episodes this summer, my skeptical friends. 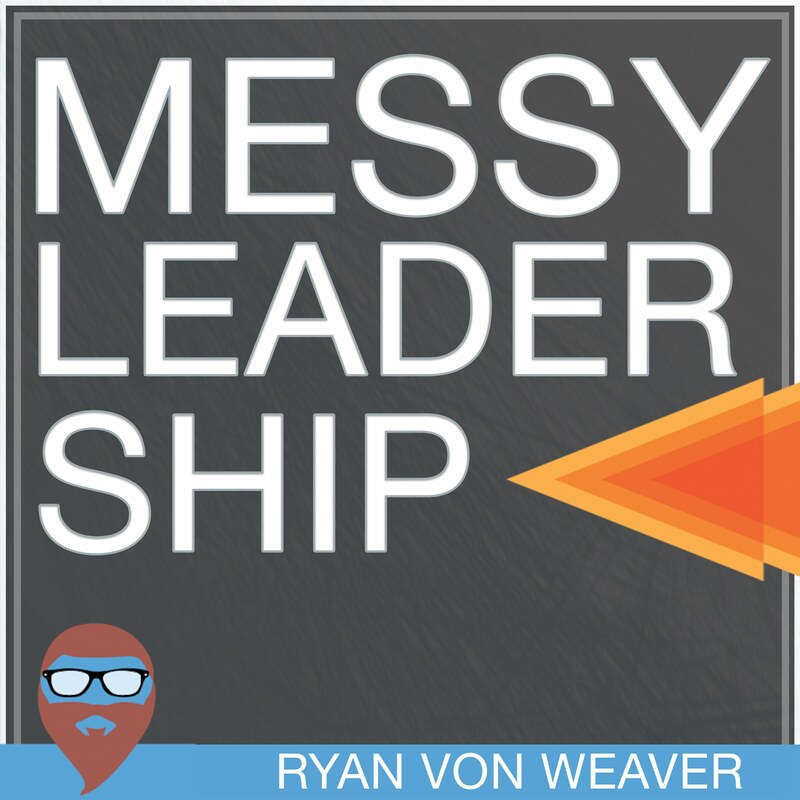 Clarity in identity and vision is the emphasis for the third episode of the Messy Leadership Podcast. 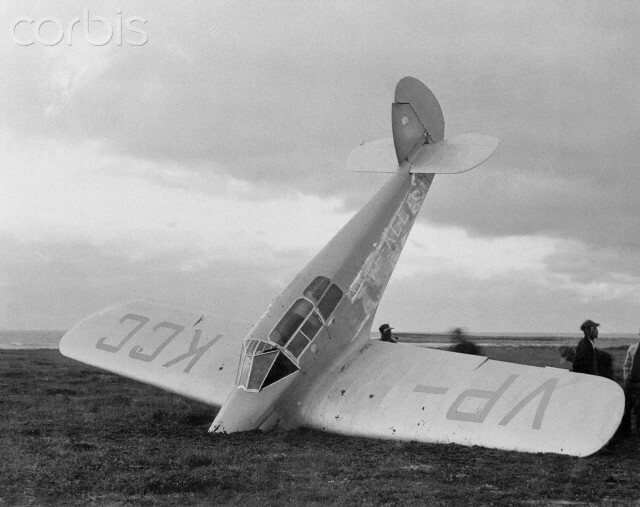 And the story of Beryl Markham’s 21 hours and 25 minutes of continuous, solo flight across the Atlantic Ocean in September of 1936 is the story to help us bring clarity into focus. In the first two episodes of the podcast, we have discussed two essential topics in leadership:: worldview… the story that operates at the center of our lives… and vulnerability… the place where the messyness of our story is at it’s most complex. When we are aware of our personal worldview, this moves us into a posture of humility and stoylistening. And living with active vulnerability moves us to invite others into the mess of our story, building trust as the pathway to vibrant relationships within our organizations, and sparking the courage to lead effectively. The reality is this:: Every individual person ends up going somewhere in life. But a very small number of people end up going somewhere on purpose. The “on purpose” destination of our lives requires the cultivation of clarity in two areas:: identity and vision. In order to lead with clarity, every Messy Leader needs to be willing to walk the lonely road of identity development… because it’s through identity that we lead from a place of authenticity. Vision compels us to see the world with clarity and invite others into our narrative with hope and vulnerability. Vision fuels Messy Leaders to live and lead with faith. Vision acknowledges what COULD BE… anticipates what SHOULD BE… and establishes a direction toward what IS. In this third episode, that’s the entire focus:: CLARITY. Let’s get right into it. Here we go. In the second episode of the Messy Leadership Podcast, we will explore the importance of VULNERABILITY. There is no way around it… if we desire to be effective leaders, the prevailing leadership research shows that messy leaders must embody something that none of us really wants to talk about, much less display in our lives on a regular basis. As leaders, we know we need to be strong, confident, and authoritative… But for deep trust to be established in our interpersonal relationships, a level of vulnerability is necessary. VULNERABILITY is the place where MESSYNESS at it’s most COMPLEX and challenging. Honestly, I would rather not open this brand new podcast with a topic so emotionally-charged and potentially polarizing, but there is really no way around this subject. Eventually, we will need to deal with the reality of the extreme tension that exists within each of us in regard to VULNERABILITY… so let’s go ahead, take a deep breath, and just get into it. Thank you for listening! And don’t forget to subscribe on iTunes. In the first episode of the Messy Leadership Podcast, I decided that it was important for us to focus on a subject that impacts each of us holistically:: WORLDVIEW. If I asked you to describe your WORLDVIEW… what words would you use to explain the way you interpret the world around you? Would you use economic or political language? Would you describe concepts related to your ethical or religious beliefs? Would you speak of morality and social responsibility? Would you express the unalienable rights of all for “life, liberty, and the pursuit of happiness”? Would you dwell on death or your view of life after death? WORLDVIEW is the FRAMEWORK through which we interpret the world around us. WORLDVIEW is the STORY of the world that operates at the CENTER of a person’s life. Every person has a worldview shaped by our cultural context and personal experiences. The study of worldview is a study in PHILOSOPHY (a set of ideals) and HISTORY (a period in time). And MESSY LEADERS tend to be the type of people who have a well-defined view of the world around them. We have reached some conclusions which allow us to be motivated to move through the MESSYNESS of life with firm conviction and captivating vision. 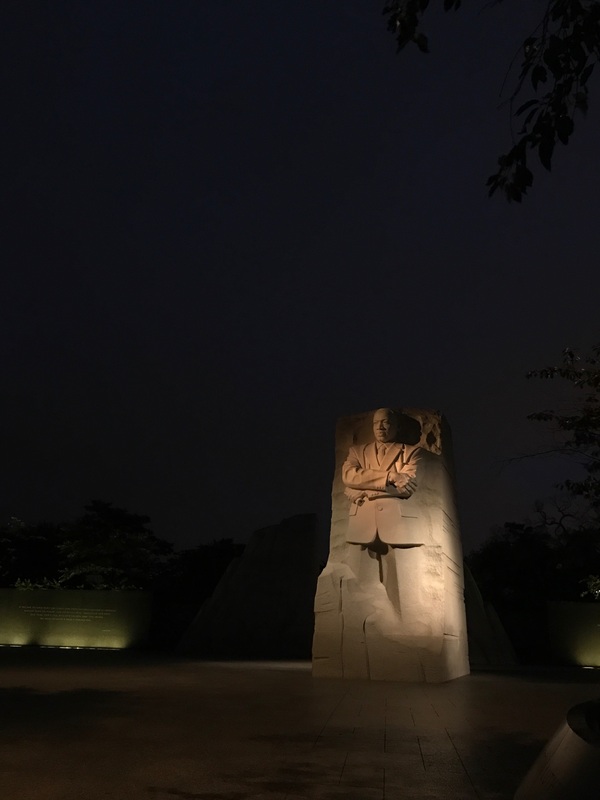 On this weekend where we celebrate the birth, life, and work of Dr. Martin Luther King, Jr., it is fitting that we incorporated the story of Dr. King’s Letter from Birmingham Jail. Welcome to Messy Leadership:: A podcast for ultraordinary leaders in the midst of the mess. If you have followed much of my writing, teaching, or public speaking over the past decade, you have likely heard me discuss my affinity for the “messyness” of life. The year 2016 did not dispel my view on the messyness of life. In fact, I believe more strongly than ever that life is messy… and that you and I should stop trying to pretend otherwise. I think it’s time for us to embrace the messyness. Life is messy… and so is leadership. Every ultraordinary person is a leader. Your story is the most important thing about you. Each Messy Leadership episode in Season One of this new podcast will feature content curated and produced by me with original music by Adam Hendrix. The podcast will initially be monologue format in Season One, but future seasons will likely feature interviews with other leaders in the midst of the mess. It is my plan to publish a new episode of Season One weekly on Sunday nights for the next few weeks. I have already recorded the content for the first couple of episodes of Season One, and I can’t wait to share these with you. Please do me a favor and subscribe to the podcast so you can gain access to the new podcasts as soon as they release. You can subscribe on SoundCloud, on iTunes, or through the direct RSS link. I look forward to reading your feedback on each episode of the Messy Leadership Podcast. The Scriptures teach that when followers of King Jesus die our soul is present with him. We don’t get wings, and we don’t become angels. We are no longer messy and broken and stained. 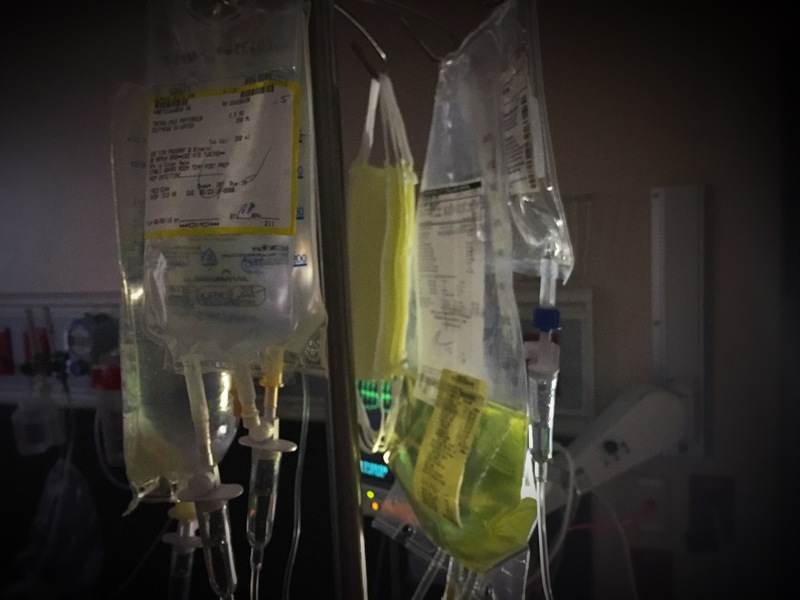 When we die, we don’t need bags of medicine to fight an invasion of cancerous death. The Scriptures teach that when we die, followers of King Jesus won’t need to worry about tomorrow or today or forevermore. We won’t need to weep and mourn. The Scriptures teach that when followers of King Jesus die then, our story lives on as a narrative wrapped in the grace and love of Yahweh. I’m honored to celebrate the life and death of my father this week. And I am so grateful that his pain has ended, and these bags of medicine are no longer needed to sustain his life. Dad isn’t here any longer. The man, Kevin Von Weaver, has left his legacy among the living. After 8 years of battling multiple myeloma, my Dad is resting in peace because of the victory of Jesus the King. Death has no victory in this life remembered.